When we caught buzzed-about Brooklyn hard rock trio Highly Suspect this year at Bonnaroo, in one of the tiny lounges no less, we were thoroughly impressed, though never could have guessed that the band, whose debut label-backed full-length Mister Asylum only dropped last year, would have racked up two Grammy nominations. Up against acts like Muse and Death Cab for Cutie for Best Rock Album, and Alabama Shakes and Florence + the Machine for Best Rock Song, to call the relative newcomers a dark horse nominee almost feels like an understatement. The sudden recognition is a testament to their turbocharged live show and refined sound, however, honed with years of DIY performances and self-reliance. 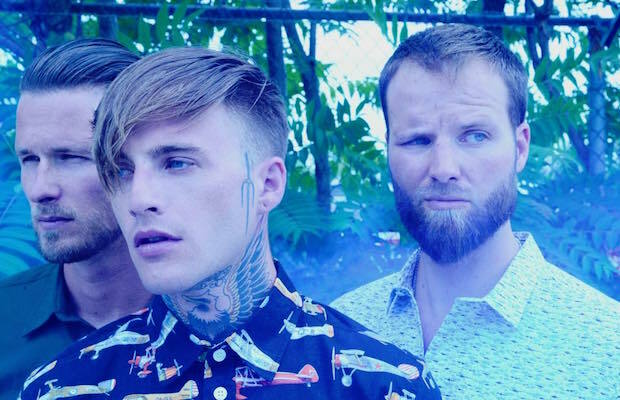 After making their Music City debut at The Basement over the summer, then opening for AWOLNATION at War Memorial Auditorium last month, Highly Suspect have announced a return to Nashville on Feb. 23, this time at The Basement East. Curious to see what all the fuss is about? Grab your tickets right here beginning Friday, Jan. 15 at 11 a.m. CST.